Green screen in Aldershot, a photo by Mike Cattell on Flickr. 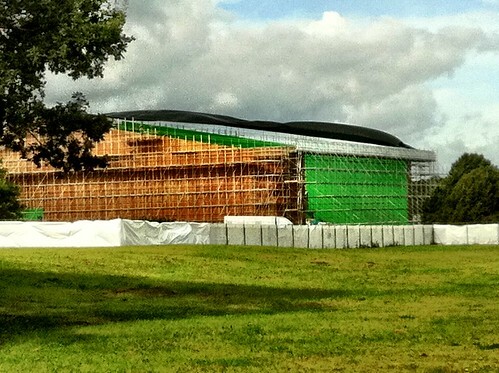 Another shot of the green screen in Aldershot for this WWZ (we think) film, aka HCZ. That was as it was going up, and now it’s all coming down again.